As well try to spin straw into gold as edit a companion to fairy tales. The stuff is both tangled and whispy, brought in from dozens of in-takes, with little evidence of its essential nature or provenance. It does not submit easily to analysis, and since our editor is a scholar-critic rather than a rigorous literary taxonomist he has whirred away without getting full control of his material. This is apparent in his querulous Introduction where he adverts to several unanswerable questions. What is a fairy tale? How can we learn anything of the authentic origins of oral tales? What is the relation between these and the 'literary fairy tales' (KunstmŠrchen in the trade) upon whose definition the limits of his province must be determined? Unable to establish a pragmatic method, he predictably ends up with muddle. Obviously good things can be found throughout the volume, but its authority is wobbly and has not been helped by having 67 'specialist contributors'. Quite a lot of these appear to be American academics, anxious for cv credits but too distant (in all respects) from European traditions to nuance their reports. Many repetitions occur, but much that is arguably fundamental is barely mentioned or is omitted. Lengthy accounts of traditions. These are distinguished by having fancy decorative borders down their outer edges which divide them from, and interrupt, surrounding text-matter (thus 'The Frog King' begins on p.173 and ends on p.188 with 'France' in between). No subtitles are introduced, so that Celtic sources are dumped under 'British and Irish Fairy Tales', but there is nothing on outlying Icelandic, Orcadian, or Gaelic tales or the work of the great J.F. Campbell. Nor will you find anything on Africa, China, India, Japan, Oceania, and South America. Lengthy essays on theoretical or critical angles under such vague rubrics as 'Approaches to the Literary Fairy Tale', 'Feminism', and 'Oral Tradition'. Here the repetitions are most frequent but there is no extended treatment of such vital issues as translation, the recording and printing of dialects, and comparative criticism both within and across language areas. Illustrators, where may be found more errors of fact, omission, and judgement than anywhere else. Articles on individual tales and KunstmŠrchen, unbalanced to the extent of three columns on Alice but nothing on the text of Jack and the Beanstalk. Other forms such as 'Advertising', 'Ballet', 'Opera' - but not Pantomime - despite which the descriptions and brief discussions are among the best things in the book (not least the 71/2 columns devoted to 'Communist Folk-Tale Films'). There are starred cross-references to other entry-titles, but with so much else hidden within the omnium-gatherum articles there is sore need of either a complex of 'see also' references or an index, and 1 for one would be glad to see the latter replace the ludicrously incompetent book-lists that take up the final 39 pages. One small chain of examples may serve to justify these harsh criticisms. Christina Rossetti is included on the strength of 'Goblin Market'. The relation of the poem to traditional lore is touched on but no reference sends you to any discussions elsewhere on legends of fairy food etc. 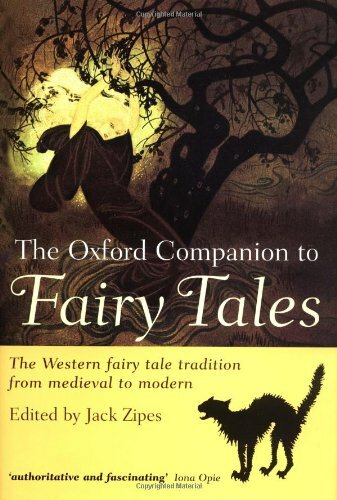 and no mention is made of Rossetti's fairy story Speaking Likenesses. (This is mentioned briefly in the British round-up and in an extraordinarily na$iUve entry on Arthur Hughes [next to which, I observe, are 12 lines on Ted Hughes which don't mention The Iron Man].) The dominance of 'Goblin Market' goes on to raise questions about how poetry is treated elsewhere, and I see with alarm, first, that Rossetti does not appear in the general article on 'Poetry', second, that the Rossetti entry, with notes, is longer than those for Spenser and Tennyson (while the only entry for Keats refers to Ezra Jack, who has nothing to do with fairy tales), and third, that not only are modern writers like Causley, Duffy, and Serraillier absent but also the massively important subject of Ballads (Border, Danish, German etc. comme vous voulez). Oh dear, oh dear.